Home sports CRISTIANO RONALDO COULD HAVE HIS SALARY SEIZED IF THE REAL MADRID STAR MOVES TO JUVENTUS. CRISTIANO RONALDO COULD HAVE HIS SALARY SEIZED IF THE REAL MADRID STAR MOVES TO JUVENTUS. Tax authorities could take hold of the Portugal forward’s wages following an ongoing case. Ronaldo is accused by the Spanish tax authorities of failing to pay tax on his image rights between 2011 and 2014. And the ex-Director of the Spanish Tax Agency warned Ronaldo they could seize his salary if he moves to Italy. Igancio Ruiz Jarabo said: "If he goes to Italy with a pact with the prosecutor and the Tax Agency there will be no problem. “But if that is not the case he will have to go to court and if the judge of Pozuelo de Alarcon (the area of Madrid where Ronaldo lives) condemns him, the Treasury could demand that he pays his debt. "In the case of the player moving to Italy the Italian Treasury could carry out a seizure as there is already an agreement between Spain and Italy regarding recovery. “They would seize his salary and the money earned from the transfer. Evidently the form of payment is guaranteed in that hypothetical situation." Ronaldo is believed to earn more than £21million a year at Real Madrid. It is thought this figure would be similar if he signed for the Italian champions. 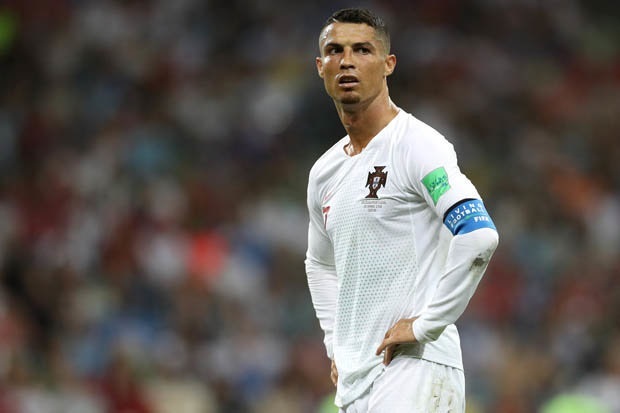 The Spanish Treasury has accused Ronaldo of not paying €14.7million (£12.8million) in tax on his image rights earnings between 2011 and 2014. Reports suggest Ronaldo would try to resolve the case with the Tax Agency before a move to Juventus took place. Last month it was revealed the ex-Manchester United ace was handed a two-year suspended prison sentence and fined £16.5million over the allegations. But the star has now reportedly pleaded guilty to four charges of fraud in exchange for a lesser penalty.